I recently picked up the book Feminist Fight Club: A Survival Manual for a Sexist Workplace . One of the strategies author Jessica Bennett discusses in the book is watching your language. Words like “nag,” “kiddo,” and “psycho” are laden with anti-woman slurs. 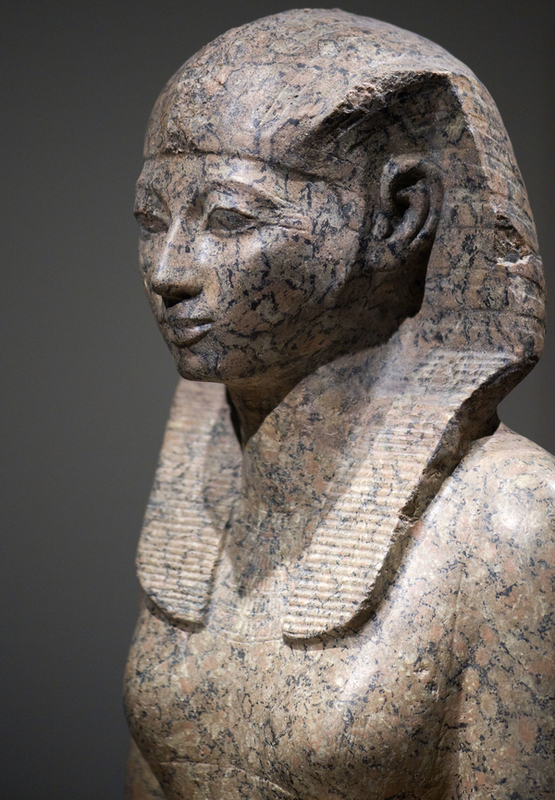 Ancient Egyptian queen Hatshepsut is well known for her exquisite funerary temple in Thebes. Having a great landmark while you’re in the afterlife was one perk of being in charge. But like women bosses today, Hatshepsut had to fight expectations that the person who ruled Egypt was male. She tried various ways to make a woman ruler seem natural in Ancient Egypt. She had statutes carved to depict herself as a man. She then tried female epithets and applied them to male statues in order to feminize her ancestors. Sometimes she just gave up and called it straight: She was a daughter of the sun god Ra (rather than the son of Ra) and the Lady of Two Lands (rather than the Lord of Two Lands). Words describing her as a female monarch must felt wrong. Finally her advisors came up with the word “pharaoh” to be the name of Egypt’s ruler, regardless of gender. Ancient Egypt called their monarchs pharaohs ever since. But we still are looking for good solutions to our own gender-biased language. Thanks to Toby Wilkinson’s book The Rise and Fall of Ancient Egypt.